1 Microwave lime juice and Knorr® Chicken flavor Bouillon in small microwave-safe bowl at HIGH 30 seconds or until hot. Stir in sugar until dissolved. 2 Combine lime juice mixture with Hellmann's® or Best Foods® Real Mayonnaise in large bowl with wire whisk. 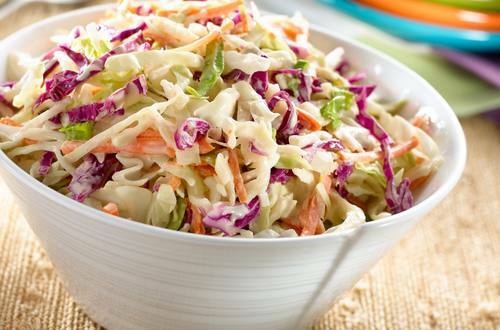 Stir in coleslaw mix. TIP: Try serving on sandwiches or tacos.